This 8" adapter has one male connector and two female connectors and will allow you to connect up to 2 devices on a single 4-pin Molex plug from your power supply. 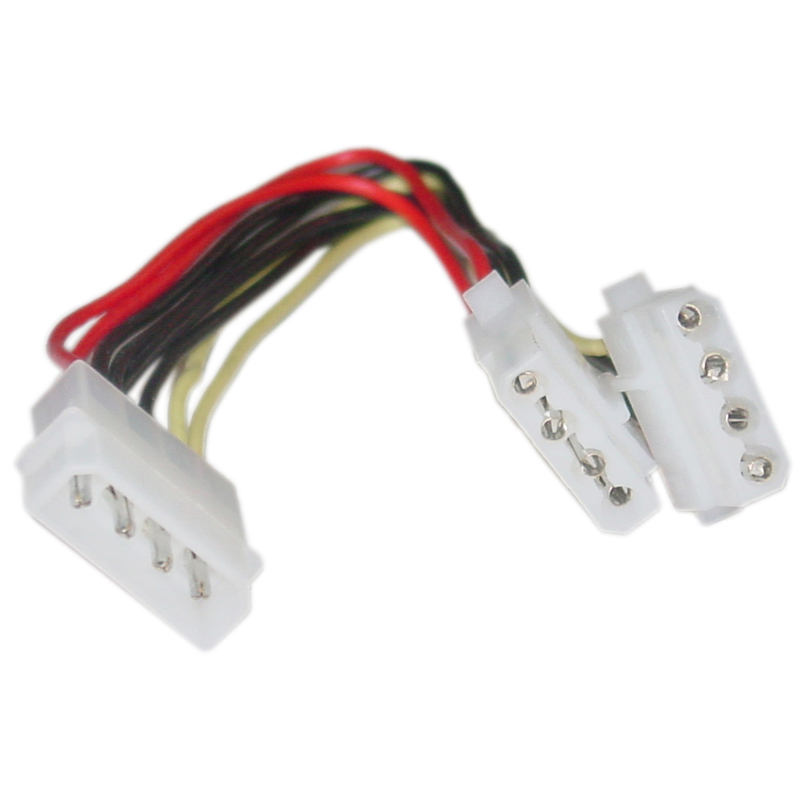 Perfect for adding additional drives, fans and other peripherals that require a 4-pin Molex power plug. good quality cable. Although I knew it was the wrong cable I thought I could make it work. Turnsout I had what I needed already. You don't have enough of a selection. I needed three pins only. It ws the right part for me. I have legacy equipment and the newer power supplies have limited support for more than a few legacy devices and I have more than six.